Intel has confirmed the completion of its $7.7bn (£5bn) acquisition of security software giant McAfee. The chip manufacturer says the acquisition will provide a combination of security software and hardware from one company, which it claims will better protect consumers, corporations and governments. "With the surge in cyber threats, providing protection to a diverse online world requires a fundamentally new approach involving software, hardware and services. Together the two companies will work to help people more securely take full advantage of the potential of computing and connectivity," said Renée James, Intel senior vice-president. 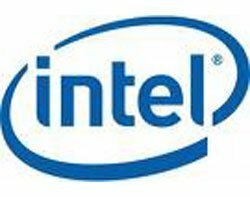 The acquisition attracted attention from European regulators following anti-competition concerns, as well as Intel's plans to embed security features directly into its microprocessors. In May 2009, the European Commission fined Intel $1.45bn for violating anti-trust legislation, after complaints from rival AMD led to an investigation. Intel appealed the findings. The Federal Trade Commission (FTC) in the US approved Intel's acquisition of McAfee in December 2010. Intel says it will reveal the partnership's joint security products later in 2011.